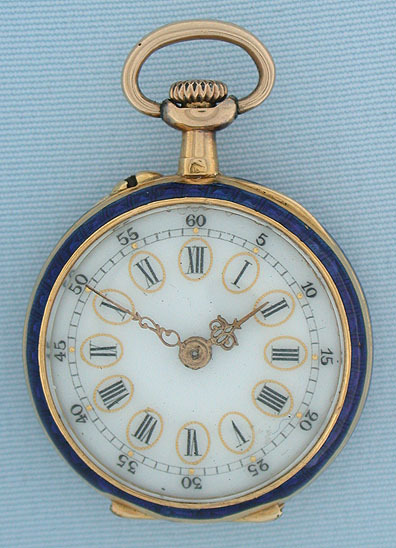 Lovely 18K gold and enamel miniature antique ladies pendant watch by LeCoultre circa 1890. 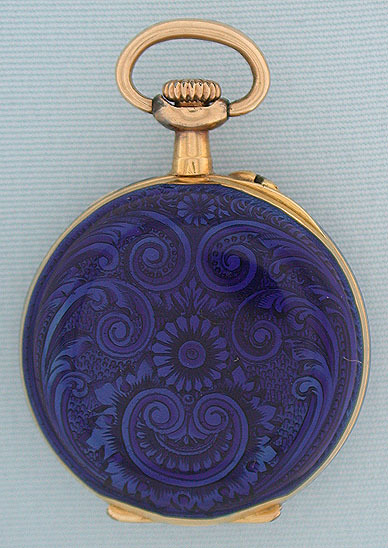 The bezel and back in cobalt blue enamel, the back enameled over elaborate floral engraving. 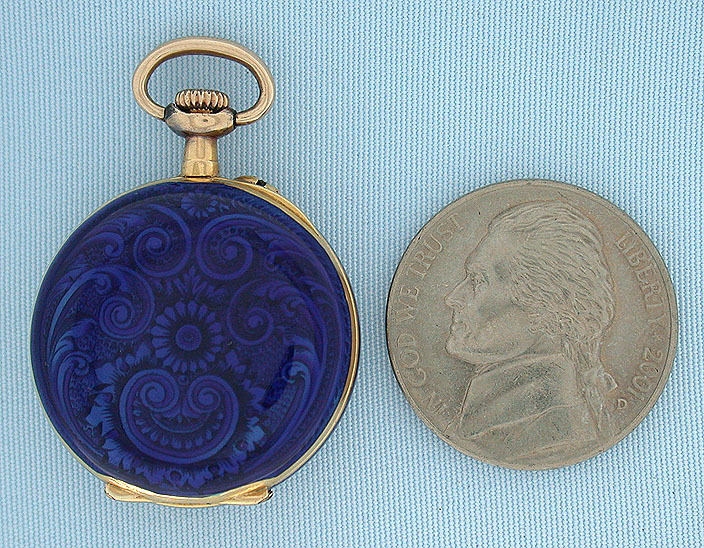 Fancy enamel dial with fancy gold hands. 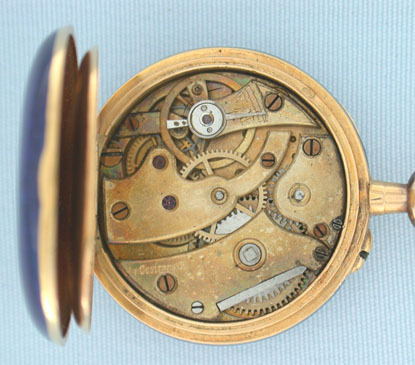 Gilt 10 jewel cylinder movement signed LeCoultre. Not a particuarly good timekeeper.